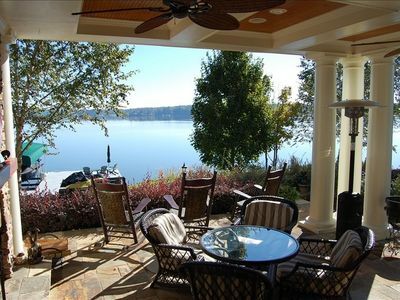 Gorgeous lakefront vacation villa in Cuscowilla! VILLA CHIANTI is a Tuscan-inspired Villa that boasts one of the best locations in the private gated Cuscowilla Golf Resort community. 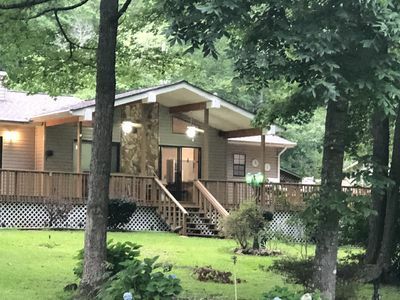 If you are looking for a beautiful location to spend quality time with friends and family, this is the perfect place to do it! 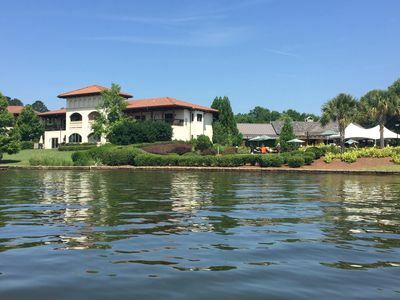 The wonderful Waterside Restaurant is right next door to our villa for upscale casual dining and the Pro Shop is less than a five minute walk for those wanting to enjoy a round of golf. Call to request information regarding fees and reservations for tee times. Villa Chianti offers two king size bedroom suites with fully equipped kitchens, stainless appliances and granite counter tops. The combined dining room living room areas are comfortable with a cozy fireplace. All new flat screen TVs for viewing in each suite. The bathrooms offer a separate water closet, dual vanity sinks with granite tops and oversized showers. Our king suite offers a jetted tub for a great way to relax! The Villa also offers two large nicely appointed jr. suites with two queen beds and convenient kitchenettes in each. The bathrooms are nice and large with granite counter tops. 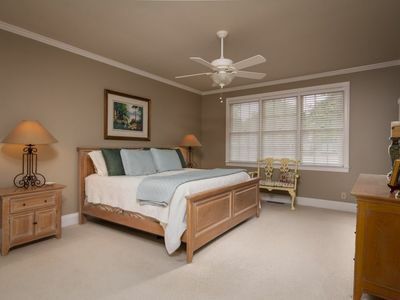 Our villa has been recently renovated with all new beds, tv's, linen's and flooring. 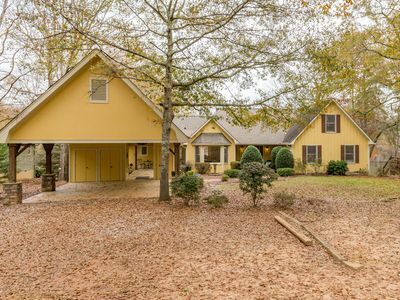 There are plenty of indoor and outdoor seating and dining areas on the upper and lower levels with gorgeous views of the pool, lakefront and golf course. 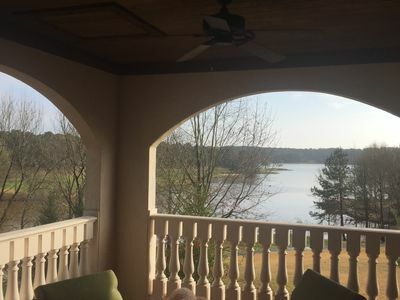 The upper balcony offers a spectacular panoramic view of the lake with seating for everyone. 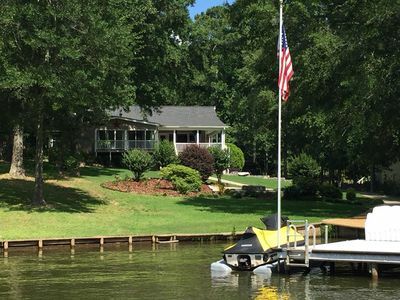 You can rent a boat or water craft from Typhoon Tommy's (located on-site) and pull right up to your own private dock. 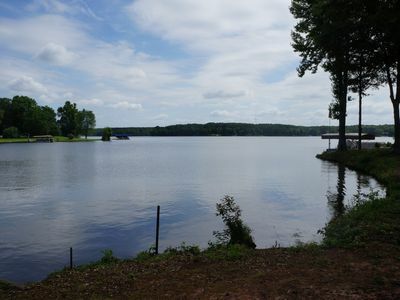 If you prefer to bring your own boat, we will direct you to a Marina that is close by where you can make arrangements to store your trailer for a small fee. Then you just navigate a short distance to our dock at the Villa. 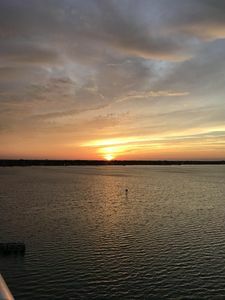 Previous guests enjoyed the ease in getting to our dock from the nearby Marina. 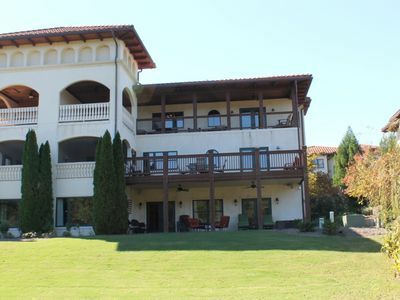 Villa Chianti is a lovely place to spend a fun-filled vacation that offers everything from adventurous (seasonal) activities like swimming, canoeing, tennis, boating, golfing, hiking or just relaxing and kicking back poolside or lakeside and watching a beautiful sunset after dinner with great company. 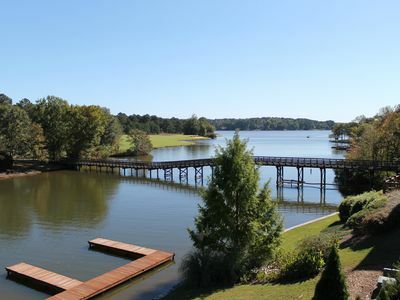 It is lakeside living at its best! Villa Chianti is perfect for a large family or multiple couples to enjoy time together, but offers enough privacy when needed. We hope Villa Chianti is a place you will want to return to year after year! Chianti is a 4 Bed 4 Bath Villa that sleeps 12 in beds. 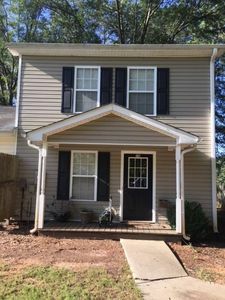 Each of the 4 units has it's own entrance/privacy door off the main center foyer. The washer and dryer are on the lower level between units A & B which are adjoined via a privacy door. Please contact me if you would like to rent individual units and I would be happy to accommodate you if space is available. We have updated every bedroom with new pillow-top mattresses and pillows for our guests comfort and all new flat screen TV's in every room. We are always thinking of new ways to make our guests as comfortable as possible! Please do not hesitate to call if you have any other questions. We would love to have you come and stay with us! Drip coffeemakers, hair dryers and Free WIFI with every unit. Cuscowilla Resort offer two on-site pools during the summer season. The Lakeside pool fee will be $10 per person per day as of 2018. They offer food and beverage service (charges apply) and towel service. We have lowered our nightly rates to offset this cost as we have no control over the pool fees. They are paid directly to Cuscowilla. The second onsite pool (The Village Pool) is free of charge. It is large and beautiful with plenty of lounge chairs. The Village pool does not offer food or beverage service so feel free to bring your coolers! No glass allowed. Free use of our private boat dock at the Villa. 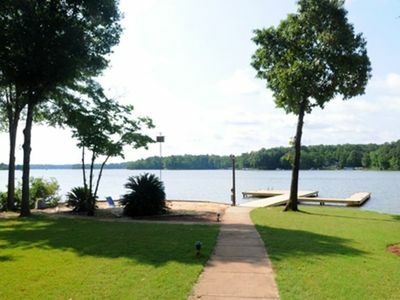 Complimentary canoes, tennis courts and fitness center with your stay. Golf is available for a fee. Water craft and gear are available for a fee through Typhoon Tommy's. Subject to season. Call or email me if you are interested in staying with us or if you have any questions about our Villa. I would be happy to help you decide if our Villa is right for your next vacation. All occupants of 469 Cuscowilla Dr. must abide by all of the requirements of the Putnam County Ordinances, state and federal law, and that such a violation of any of these rules may result in the immediate termination of the agreement and eviction from the premises, as well as potential liability for payment of fines levied. Family Friendly, Pet Friendly And Wheelchair Friendly!! 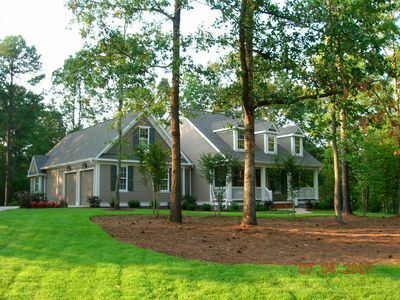 Lakefront Oconee Home! 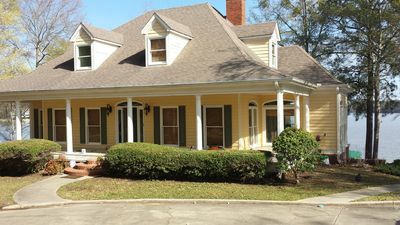 Renovation Complete - 5/31/19 - 4BR Lakefront Home - Beautiful & Great Location! 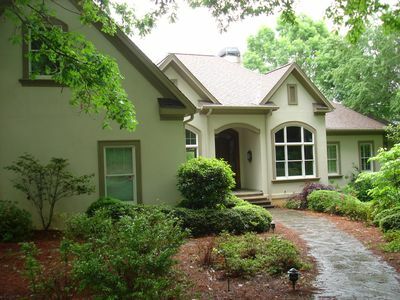 Lake Oconee 4 Bed 5 Bath Villa Inside Cuscowilla on the Lake!!! 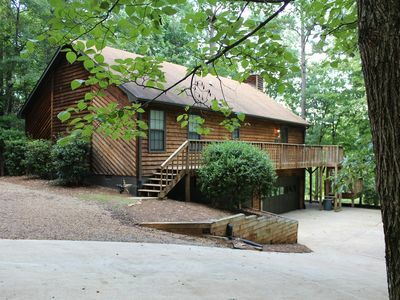 Great Waters Vacation House on Peaceful Wooded Corner Lot. 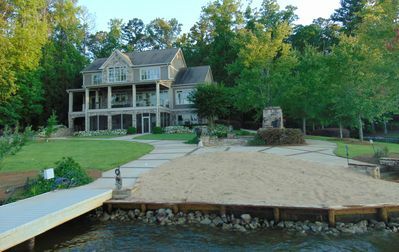 Lake Oconee Villa On Lake Oconee, Inside Cuscowilla! 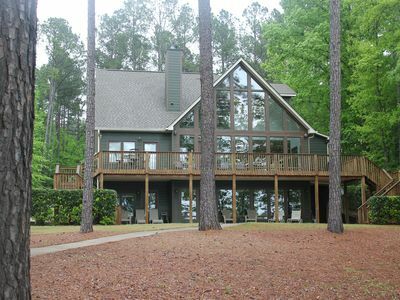 New Rental, LAKE OCONEE LAKEFRONT PARADISE! Angler's Retreat Lake Sensation Getaway On Beautiful Lake Sinclair! Private Lakefront Cottage! Cozy, Clean and Open! Great Location! 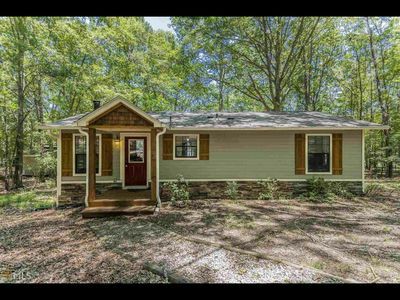 Lake Front Dream Close to Everything!